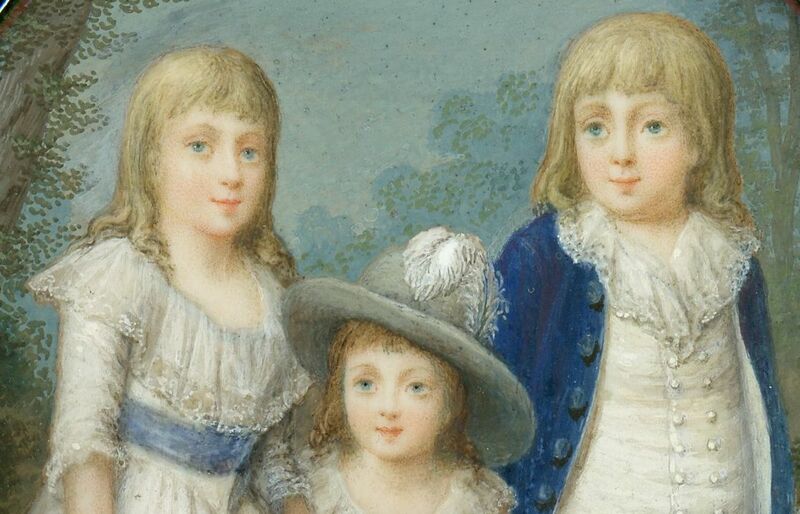 This sumptuously large portrait shows three young children standing on a terrace in a garden landscape with trees in the background. 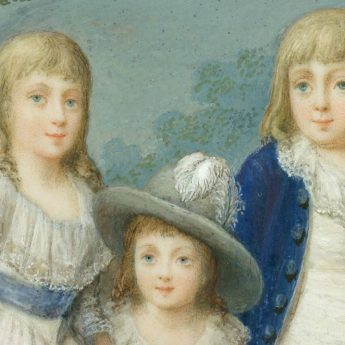 The children are all stylishly dressed: the eldest boy in a dark blue coat over a buttoned white tunic and matching pantaloons is holding a toy sword; his sister, holding a single pink rose, is wearing a white dress with a deeply frilled neckline and a blue sash waistband; and, the youngest child is dressed in a white romper suit with a wonderful plumed grey hat. 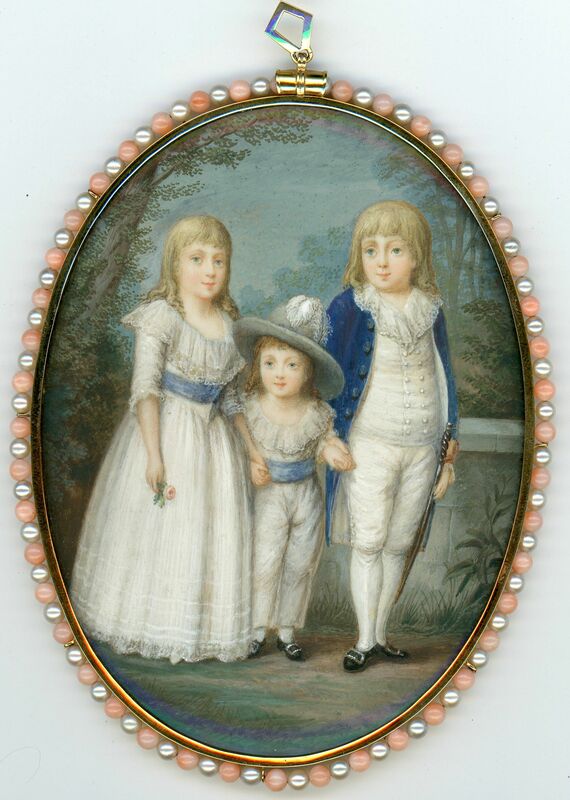 The portrait is housed in a splendid silver-gilt frame that is enclosed on the back and bordered with cultured pearls and coral beads. Immaculate condition.